How To: Party on the Cheap! It’s summertime and there’s ALWAYS a reason to celebrate! Getting the gang together for a night out “just because” can get pricy, but don’t let that stop you! ABCey wants you to have a fun mini-event while staying within budget. Here are our favorite ways to party on the cheap! 1. Find your Happy Hour | Absolutely no one with normal job hours can make a 4 p.m. happy hour. Look for bars with both food and drink specials, like El Rio in the Mission. Their happy hour goes from 1 p.m.-8 p.m. and on Fridays after 5:30, they give away free oysters. Sounds like the happiest hours of the week! 2. Take it Outside | When the weather’s this perfect, who can bother staying indoors? Tell your friends to grab a blanket and a potluck dish and meet you at the nearest park, beach, or garden! Pro tip: keep an eye out for free outdoor events in your city, like concerts and craft fairs. There’s nothing better than taking in music, friends, and good food on a summer day! 3. Stalk it Out | All around your city on any given day, there are dozens of events going on that you don’t even know about! Be up to date on your city’s happenings with websites like Fun Cheap SF that help you stay on top of all things free and inexpensive. Bet you didn’t know that there’s a free core & endurance outdoor workout today at Kezar Stadium in SF! 4. 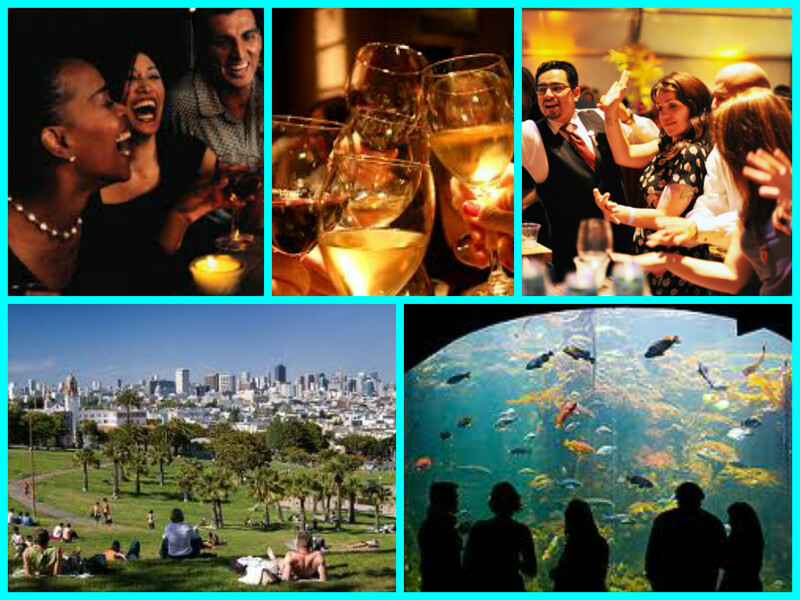 Night at the Museum | When the sun goes down, skip the bars and head straight for the museum! Spots like the California Academy of Sciences, the De Young, and the Exploratorium offer free exhibits and special events or tickets cheaper (and more inclusive) than regular admission. Let’s be honest: haven’t you always wanted to have a glass of wine while looking at art? What do you and your friends do to have a fun night out on the cheap? Let us know in a comment or on Facebook & Twitter!